We have a great selection of large holiday homes to rent in Angus, historically known as Forfarshire from the 18th century until 1928. Whether you are coming to Angus on a family holiday, a business trip, party with friends or are on a budget, we have a selection of suitable properties for you. From hostel accommodation to lodges with stunning views, all properties are available to book now for 10+ guests. 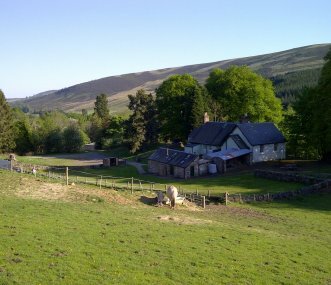 Situated a few miles north of the market town of Kirriemuir, Pearsie Lodge offers stunning views of the Angus Glens and luxurious self-catering holiday accommodation for up to 16 guests at a time. Enchanting castle steeped in history. Original features and mod cons. Sleeps 16. 5 miles from coast and world famous golf courses. Great for groups. Games room, woodland walks and new eco hot tub. 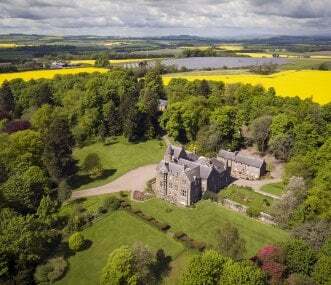 Selection of properties from Victorian mansion house to cosy cottages on idyllic private estate near Arbroath in Scotland. Perfect for large groups of 10 -50. If you choose big group accommodation in Angus you'll be spoilt for choice when it comes to places of interest. There are attractions such as the Cairngorms National Park and Carnlochan National Nature Reserve and the Loch of Kinnordy Nature Reserve for those who like the great outdoors. 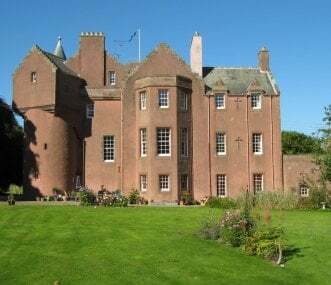 For groups with an historical interest there is the Angus Folk Museum; Arbroath Abbey; Brechin Cathedral, Castle and Round Tower; the Caledonian Railway; the House of Dun; the Meffan Museum and Art Gallery as well as the Montrose Museum. Groups that enjoy literature should book to be near Dundee in October for the Dundee Literary Festival whilst groups in June can enjoy a special bit of Scottish tradition with The Strathmore Highland Games.